Eagle Garage Door can build custom garage doors designed to suit the full range of needs of any home or business. Think about it -- the perfect door for your individual circumstances that perfectly complements the look of your property while also providing all of the security, access and climate features you need! Some of the custom model types we stock include bifold, trifold, bar and swing garage doors. And if we don't have it on hand, Eagle Garage Door can have our fabrication facility create it for you. 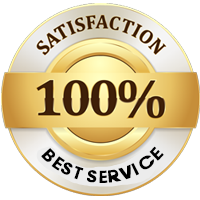 No matter what model you buy, you have our full guarantee that it will be as durable and dependable as any of our top-of-the-line standard door models. 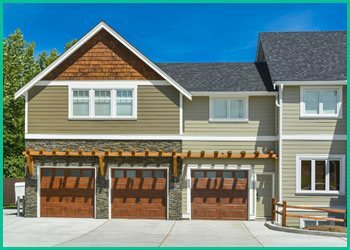 Custom garage door design is very popular among our commercial customers, especially those with retail storefronts. We can design doors to accommodate businesses both small and large that match the existing facilities and the brand image that you want to project. Among the door materials that Eagle Garage Door stocks are various types of imported wood, brushed aluminum and composite materials. We can also create doors using transparent material for a truly unique look. If your garage door is securing a business, or if it offers a potential entrance to your home, it may be worth investing in high security locks if the circumstances call for it. High security locks are those that are built to resist attacks and picking techniques that more advanced criminals use to bypass them. Aluminum security barriers can also be added for enhanced security. With these measures in place, it will be immensely more difficult for a criminal to gain access to the garage. If you feel you need an elevated level of garage security at home or at the workplace, Eagle Garage Door has a wide range of these high security devices along with the specialized knowledge to install them properly. A security grille or a shutter is a relatively inexpensive addition that adds a significant layer of durable protection to the exterior of a building. They're particularly well suited for retail locations. Eagle Garage Door stocks a range of different grilles and shutters to suit most commercial locations.